Actually, James Gosling is the originator of Emacs (and a few other things of less consequence, such as NeWS and Java). 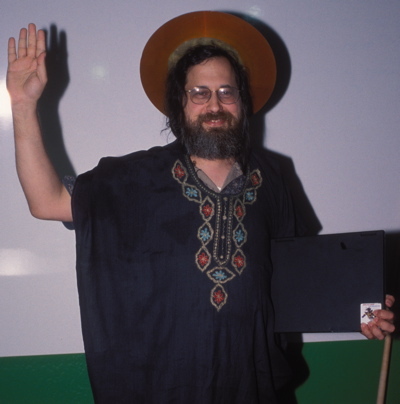 Stallman is the author of GNU Emacs, which, it is true, brought most of the advancements we know in Emacs today. Err, Mr. Majid, Stallman is the originator of Emacs (from TECO macros, IIRC). Gosling made a port of Emacs (GOSMACS). Google should throw up something.